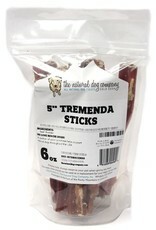 Available individually or in a cost-effective 6oz value bag that contains about 10-12 pieces. 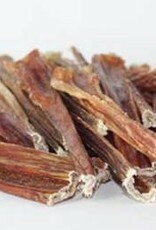 While there is some odor associated with this product, it is a VERY palatable treat. 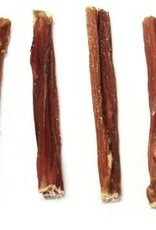 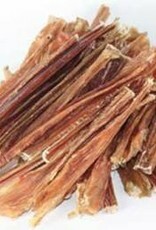 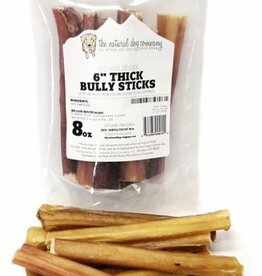 The texture is much softer and pliable compared to a bully stick. 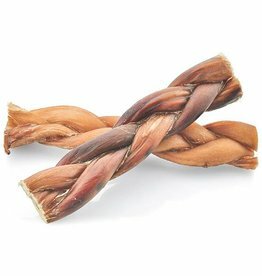 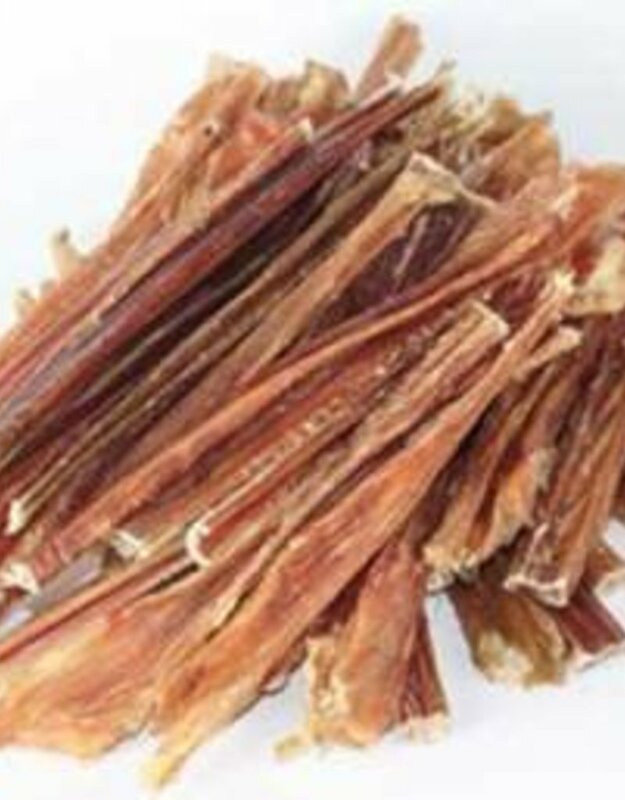 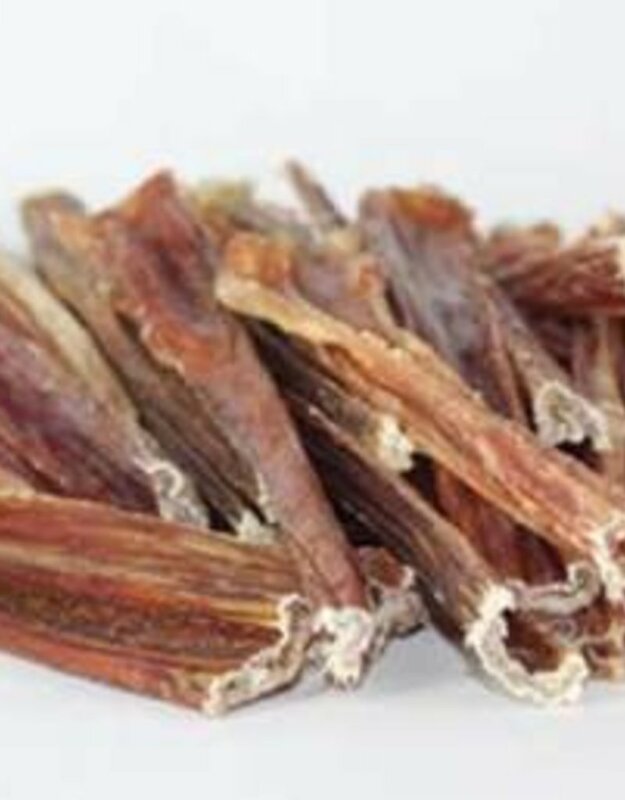 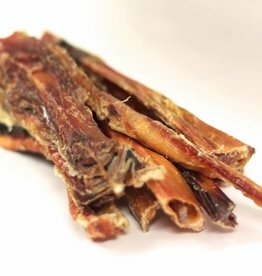 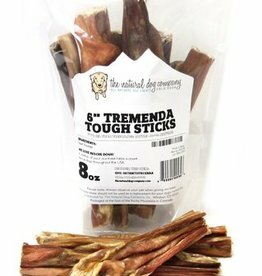 It's the perfect recommendation for picky dogs, puppies, seniors, as well for those customers who are concerned with giving their dogs harder chews. 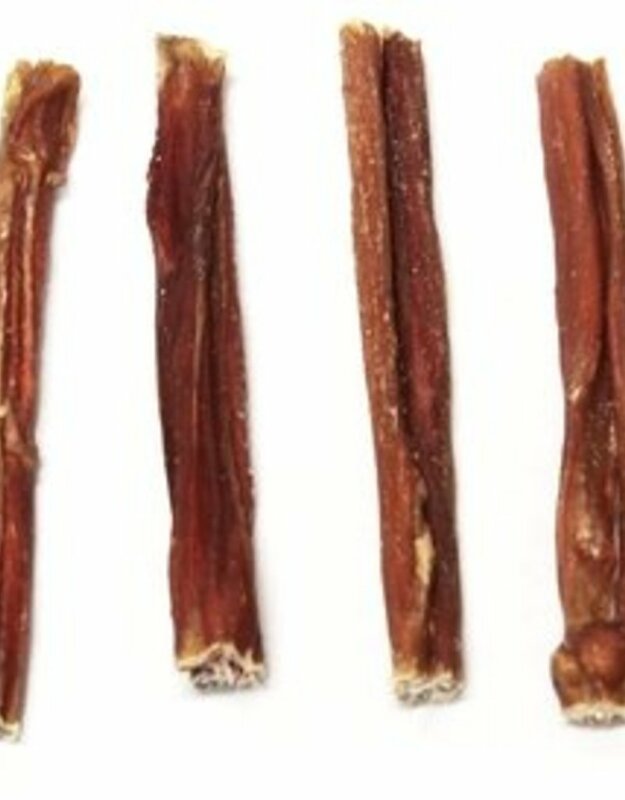 Made from 100% stretched beef bladder, sourced from free-range, South American cattle. 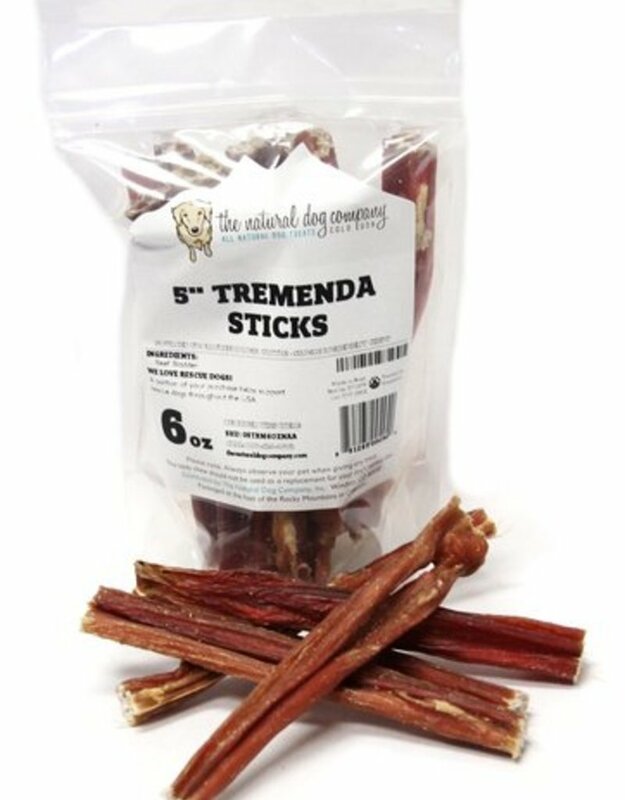 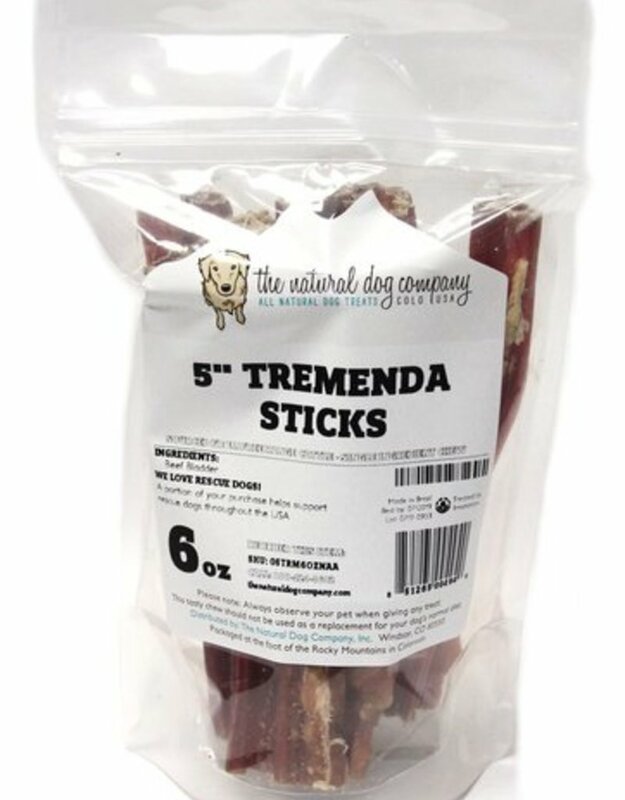 5" tremenda sticks are meant for small breeds and puppies. 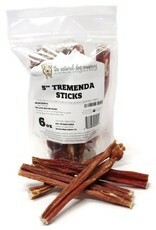 If you need something a bit larger, check out the 12" tremenda sticks!